Tony, a native of Ireland and a fourth generation horseman, has been with ‘Four Star’ since its establishment. He advises current and potential clients on the marketability of their horses. He is very matter-of-fact, and focused on doing what is right for each person and their stock. He is excellent at developing long-term relationships with breeders, gaining the trust and respect of each person he works with. His wide knowledge of the industry on a domestic and global basis comes from his years of experience working in many different parts of the world. He worked as assistant trainer to his father in Ireland, while also being a successful amateur steeplechase jockey for 11 years. He later went to France as an assistant for trainers Emmanuel Chevalier Du Fau and Henri-Alex Pantall. To broaden his skills he came to America, first to work for Wintergreen Farm in Midway, Kentucky, he then worked a sales season for former leading two-year-old trainer Jerry Bailey in Florida. He was recruited to Dubai to work for the Al Maktoum family as assistant trainer under Erwan Charpy, where he remained for over 5 years. After Dubai he returned to America in 2001 to make Kentucky his home. He has been responsible for managing a profitable pinhooking partnership and purchased a number of top racehorses as yearlings for a global clientele. 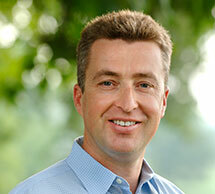 In 2008 he was appointed the North American Representative for the French auction house, ARQANA. In this role he works closely with domestic and international industry professionals, recruiting and promoting the company’s high profile sales. When required, he consults for the French Breeding and Racing Committee (FRBC), the government and equine industry promotional arm for the French thoroughbred business. He also has worked for the Dubai World Cup & Emirates Racing Association promoting Meydan and the Carnival meet to US owners and trainers. He has been assigned the duties of selecting and presenting the ‘Best Turned Out Horse’ prizes at three Dubai World Cup nights, including the World Cup race itself. A role where his skills have been put to good use is in the area of consulting for farms and racing stables who have lost direction, or need restructure. This was very evident is his work with Brownwood Farm. It was an operation that was very unprofitable and had lost control of overhead and stock levels. He managed their racing stable in it’s most successful years in the farms 60 year history; this included Keertana’s third place finish in the 2010 Breeders’ Cup Filly and Mares Turf (Gr. 1). Since his involvement, the farm has been profitable each year since; culminating in the sale of Keertana and Snow Top Mountain for $1m and $950,000 respectively at the 2013 Keeneland January sale. Both mares were sold by Four Star Sales. Tony has gained tremendous connections around the world, and is respected by all those with whom he does business. His expertise is a vital part of our day-to-day client service operations and the continued growth of our business.